Robotics engineers at Guangdong University of Technology’s School of Automation in China are bringing us one step—albeit a much larger step—closer to realizing Tony Stark’s fictitious Iron Man suit. 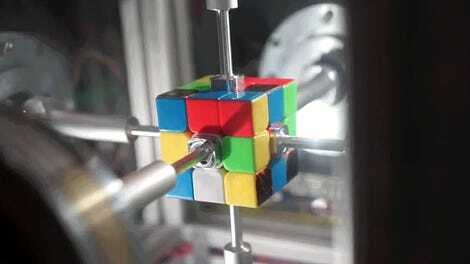 Their new robot features jet-powered feet that greatly improve the bot’s balance, agility, and capabilities. Small ducted fan jet engines greatly improve this robot’s balance, but it can’t fly yet. Unlike Iron Man, who can take to the skies like a rocket, this Chinese robot always needs to have at least one foot safely planted on the ground. So what’s the point of having jets strapped to those feet if it can’t fly? In case you haven’t noticed, while bipedal robots are getting better at walking and traversing uneven terrain, they still fall down a lot. Making an artificial leg that moves like a human leg does is relatively easy, but keeping an upright robot balanced while walking on two of those legs is a monumental challenge, particularly when the robot’s balance is pushed to its limits. 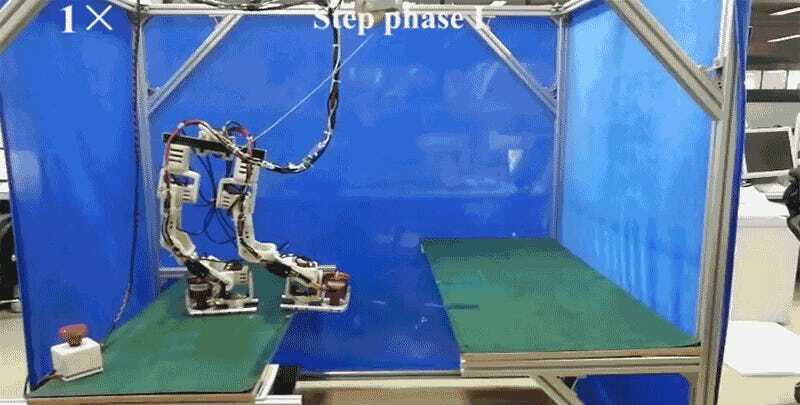 As a walking robot makes longer strides, to step over an obstacle, for example, it needs to counter the changes to its center of gravity. Humans have learned to twist and contort their bodies to keep themselves balanced while making larger steps, but few robots are that nimble. That’s where these ducted fans come into play. 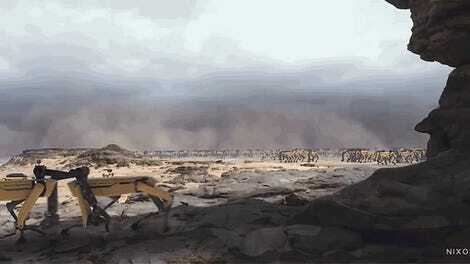 Each one produces about two kilograms of thrust, which is roughly a third of the robot’s weight. 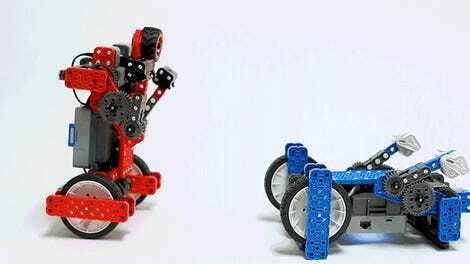 As the robot stretches out one of its legs to traverse a large gap, or simply step over something, the jet on its foot roars to life providing additional support, and re-aligning the bot’s center of gravity to a position it can easily handle without toppling. 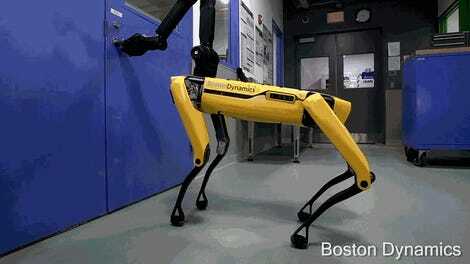 In tests, the researchers’ bipedal robot was able to cross distances as wide as nearly one-and-a-half feet, which is roughly 97 percent of the robot’s leg’s length. Without the ducted fans assisting the maneuver, the maximum distance the robot could safely step across, while safely maintaining its balance, was limited to just over three-and-a-half inches. That’s a massive difference, but a wider gait isn’t the only benefit to having jet engines strapped to the robot’s feet. The extra thrust could improve its ability to jump, including cushioning landings and reducing impacts. 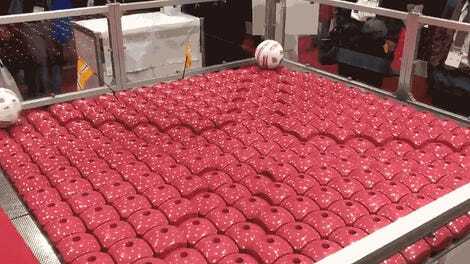 It could also be used to improve the robot’s maneuverability, allowing it to pivot on one foot by simply aiming the other one and changing the direction of the fan’s thrust. Your Iron Man dreams are still years away, but these are some important first and elongated steps.